Standard 1/2 plywood sheeting, building paper, a metal roof or asphalt roof with roofing felt. We only use exterior grade doors and inspection grade vinyl or wood windows. Metal roofs or ashphalt roofs, cedar siding, board and batten, or fibre cement, storage lofts, insulated, heated, electrified or basic. We have many options to choose from. Custom Designed and Built to suit your needs. 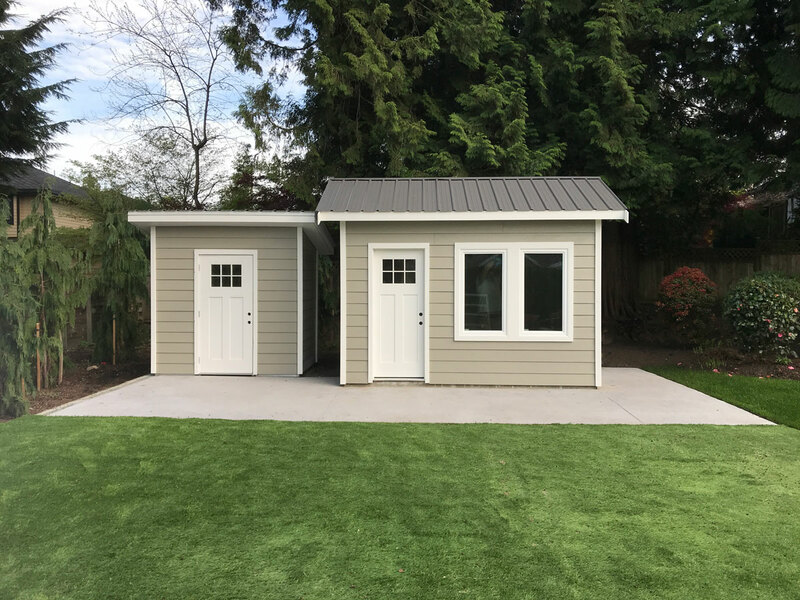 We have some standard models, but if you want something unique we would be happy to design and build a shed totally customized to your needs and built to fit in with your backyard, home and landscaping. Have a look at some of projects from not only sheds, but pergolas, decks and landscaping. We can transform your backyard in to functional relaxing out door living space. If you can dream it, the odds our we can build it. 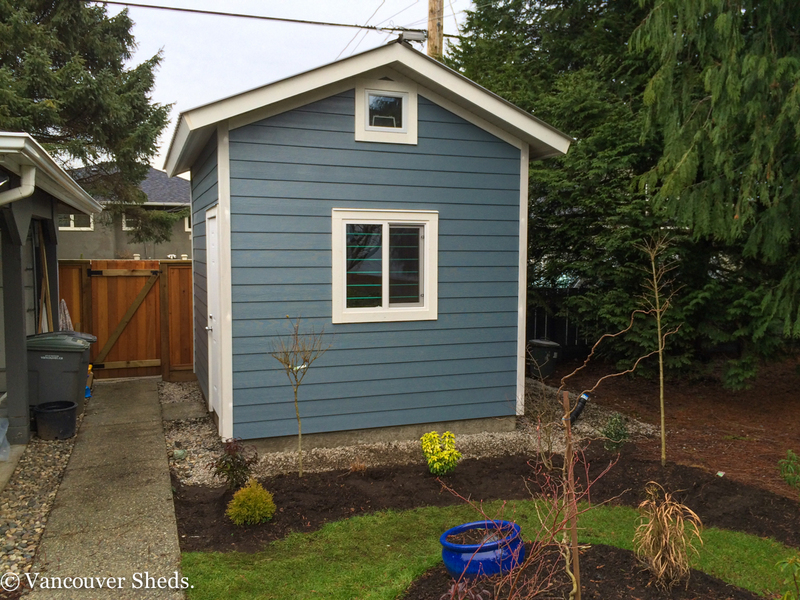 We design custom sheds to meet your needs and to match with your home and landscaping. 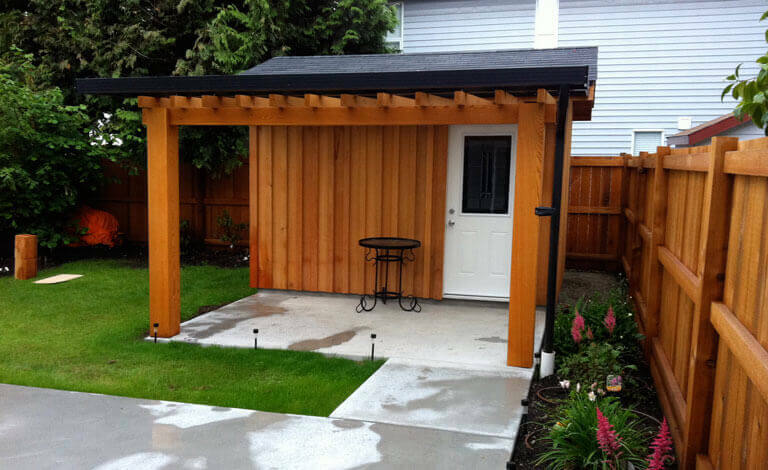 We not only build sheds, but we will also do landscape design to transform your entire backyard into an outdoor living space. Decks, pergolas, water features, we build any landscaping structure you can dream up. As you can see we build a lot of different sheds. 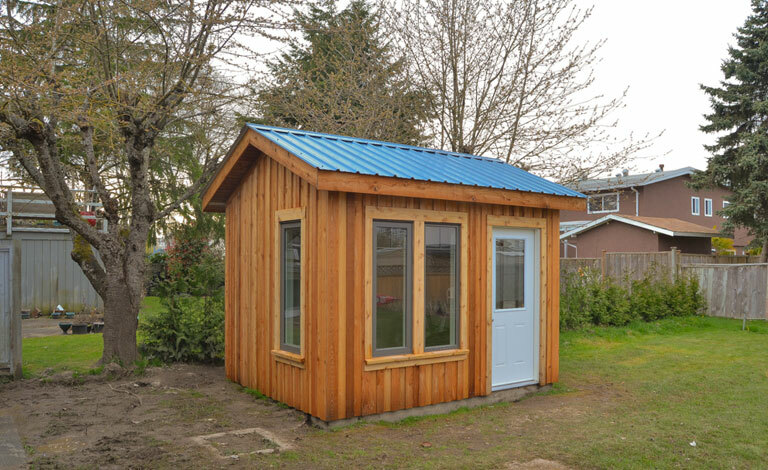 Let us build a shed that meets your needs and looks good at the same time. Let us transform your backyard into an outdoor living space, that includes an entertaining area, a lounging area, that you can enjoy with style and class. A place you can enjoy spending with friends and family. 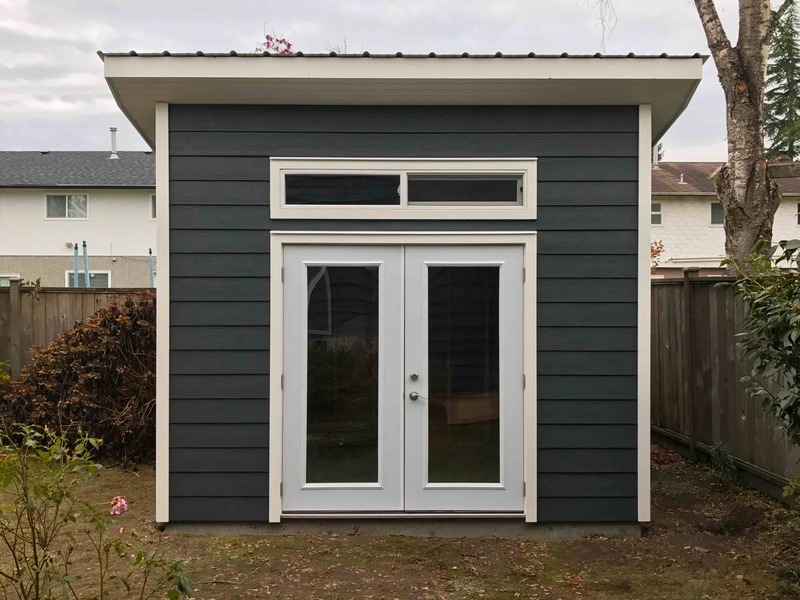 Benefits of building a custom a Shed. 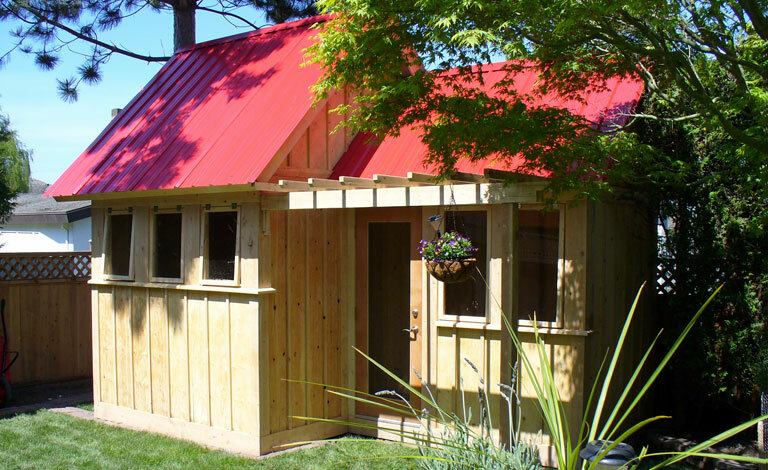 We do this through the creation of well designed and well built sheds, decks, pergolas, and outdoor living spaces. We would love to meet with you and see what we can do to make your backyard more functional and beautiful. 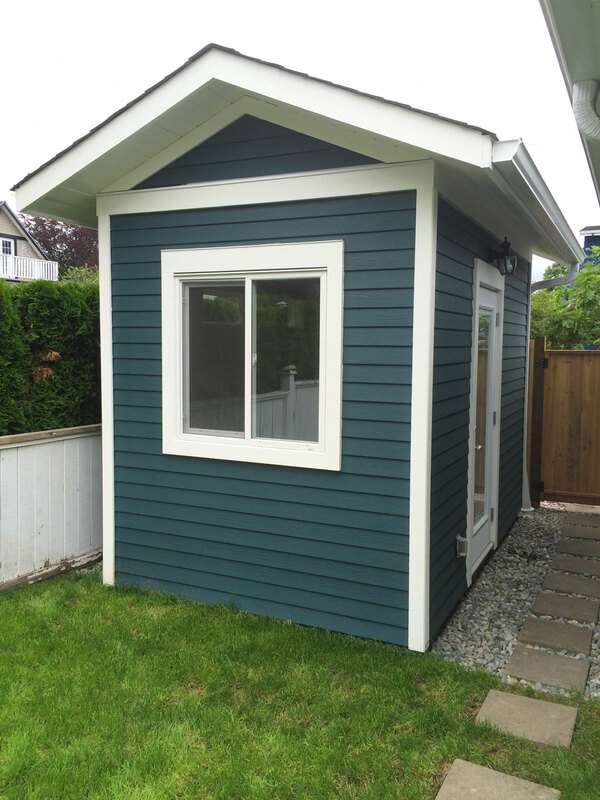 Call 604-716-6299 or contact us through this website, if you would like a consultation on a new shed or on transfroming your backyard into an outdoor living space. 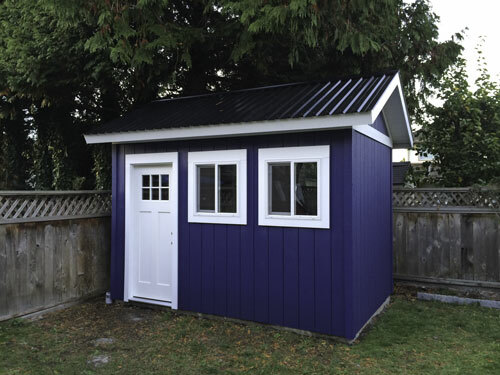 We are based in Richmond, BC, and service Metro Vancouver, including, North Vancouver, West Vancouver, Burnaby, New Westminster, and Delta for shed construction and we deliver pre-built sheds to the Islands and other parts of the Lower Mainland.